Please join Kathleen and The Editor for Day 2 of Revision Week, and find out how to win today’s “Free Partial Edit” from The Editor. 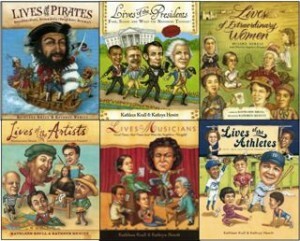 Kathleen Krull has written some 60 books for young readers, most notably the award-winning series of “Lives of” books, now with new jackets and new titles forthcoming. 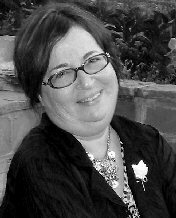 The Editor had the honor of working with Kathleen on many of the “Lives of” books as well as other books at Harcourt Children’s Books. *After Kathleen’s interview are instructions for entering today’s Free Partial Edit Giveaway. When you write a new picture book manuscript, how many drafts does it typically take before you’ll show it to an editor? From the days when every penny counted, I’m so cheap with paper that I don’t print out a draft after I make every little change, so it’s hard to say. I print at least 10 to 15 drafts, representing what seem like substantial changes, before I’m happy. When I get to the point of taking out commas and putting them back in again, I feel ready to send it off. A lot, as you know, Deborah, from sitting across the desk from me once upon a time. 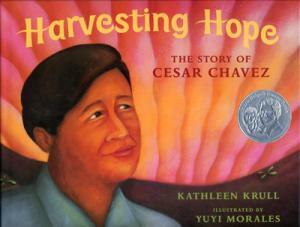 A good example is Harvesting Hope: The Story of Cesar Chavez. True story: between what I thought was my final draft, and what emerged after the editorial process, only one sentence stood intact: “Grapes, when ripe, do not last long.” It’s not that I deliberately send in something unpolished, it’s that editors are indispensable. (Note from The Editor: Kathy gave me permission to take credit for coming up with the “Harvesting Hope” title. I credit Kathy’s other wonderful editor at Harcourt with the revision fun.) Watch the National Endowment for the Humanities book trailer for Harvesting Hope here. 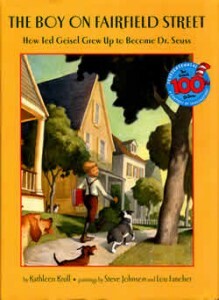 You’ve started co-writing with your husband, author/illustrator Paul Brewer. How does that collaboration work? It’s truly a collaboration. One of us will start with an idea (Fartiste, needless to say, was his), a paragraph, or a first page, and we’ll then pass drafts back and forth, endlessly tweaking. Paul specializes in research. 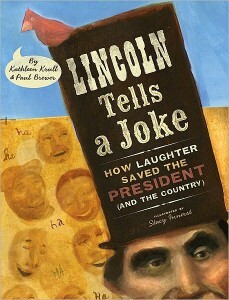 With Lincoln Tells a Joke, he found all the jokes. Same thing with our upcoming funny book about the Beatles. My focus is the final fine-tuning of the words. He typically works at night and I work days, so I’ll hand things off to him at the end of the day and find it back on my desk the next morning. Did you use Paul or other critique partners for the books you wrote solo in the past? Paul is usually the only one I show manuscripts to, for the simple value of watching his face as he reads. I can tell when he gets hung up, confused, or amused, and I use those reactions as clues when I’m revising. Do you ever read your picture book manuscripts to kids to test them out? I’ve tried this, but haven’t found it that helpful. I lean toward the “too many cooks” theory, that my views and the editor’s (and sometimes Paul’s) are what matter. More input than that can be muddling. With my biography of Dr. Seuss (The Boy on Fairfield Street: How Ted Geisel Grew Up to Become Dr. Seuss), I found it flummoxing that his life, from all outward appearances, was pretty darn charmed. I like to write about obstacles overcome, battles fought and won, and with him the more I researched, the less conflict I found. After many many drafts, I was finally able to tease out the theme that fooling around with words and pictures was not considered appropriate for an adult—but he did it anyway. 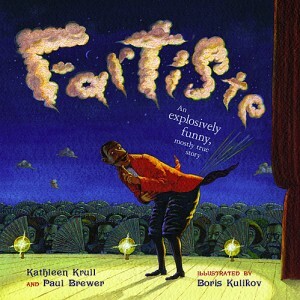 With Fartiste, Paul and I tried every which way to tell the story of Joseph Pujol, a real French performer whose entire act was farting on stage. Nothing clicked until I hit upon telling the story in rhyme. Paul thought this was a terrible idea—among other reasons, most editors hate stories in rhyme. But then I came up with a few funny verses, and we were off and running. I’d like to use this remedy again, but it would have to be the right subject. When the editor and I have wrestled it into a story that seems to have written itself—that’s the goal anyway. Deadline: MIDNIGHT tonight, March 6, 2012, PST. Winner will be randomly selected using Randomizer.org and announced on March 7, 2012, in the DearEditor.com comments section and on the DearEditor.com Facebook page, and the winner will be notified directly via email. Congratulations to the winner of yesterday’s giveaway, Gwen Cole! Gwen, I will email you about editing Steel Horizon. These past two posts have been extremely helpful. It’s fascinating to see the different revision processes as I develop my own approach. I can’t believe so much of “Harvesting Hope” changed after making the sale. With so much demand for near flawless stuff at the get go, it can be more than a minor annoyance. Maybe this is just restless envy on my part, since I feel like I’m fighting just get beyond the query stage more than once every two years, which is where I stand right now. I’m really enjoying these interviews, Deborah! Thanks so much for the awesome prizes! I enjoy Kathleen Krull’s nonfiction books. Even used them as models on how to write nonfiction for kids. She has a wonderful sense of humor and knack for finding the obscure facts that appeal to kids. Had the pleasure of meeting her at an Author Festival in Northern California years ago. Hello, Kathleen! Keep up the great work! Thanks so much, Natasha. Good times in Eureka–the bathtub, etc., etc. Congrats on all YOUR success. Kathy, you said this publicly. No taking it back now. Fyi gang: if you have had problems accessing the site today, hang in there. My webmaster is looking into it right now. Update: Seems to be a prob with my site’s host service. I think it is all better now, though. Thanks for the heads up, Readers. Yeah, I had problems opening the page earlier. I just figured your contest is really popular and getting too many hits! My twins enjoyed reading “Harvesting Hope”. I’ll have to tell them how dedicated Mrs. Krull was in publishing it. Such a great post. I’ve linked to it on a facebook page for writers. What a great interview 🙂 I love seeing the way your stories came into creation. That’s interesting as all us writers are so different. Thanks for sharing! I loved your book “A Pot o’ Gold” about Irish folklore. It was a great source of inspiration. Thanks for the insightful comments. Great interview! I can’t believe that in Harvesting Hope only one original sentence remained by print time. WOW! OMG Gwen!!!! Congratulations! I’m super excited for you! What a great interview! I especially liked the bit about having to tell Fartiste in rhyme. Thanks!